Lox & Vodka will add that uplifting ruach (spirit) combined with our upbeat and romantic dance music. We pride ourselves on providing the right music, at the right time. No matter what type of celebration you're having, your guests will dance like they've never danced before! We’ll raise the bar of your event! Today, Lox & Vodka travels from simcha to simcha where our horas are always action-packed, with your guests lifting the honorees high on chairs. 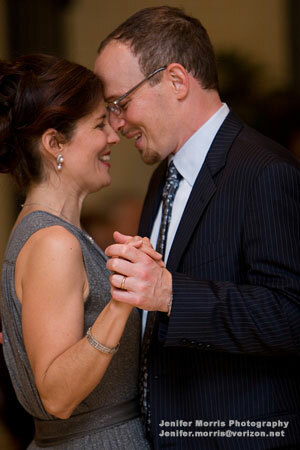 And we teach fun and simple Israeli folk dances, an incredibly memorable experience for everyone. 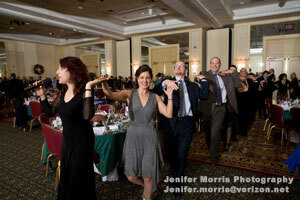 Plus, our CLASSIC ROCK, MO'TOWN, SWING, COUNTRY and BIG BAND music will keep you and your guests dancing all party long! Once again, we had a wonderful celebration, first with our daughter's Bat Mitzvah 2 years ago and now with our son's Bar Mitzvah. Everyone no matter age or religion had such a terrific time. Our event felt so warm and inclusive, people are still talking about it. The biggest compliment though came from our son who midway through planning our event decided he wanted a big DJ party instead. So our compromise was the party with Lox and Vodka would be during the day for our relatives, our adult family friends and about 20 of his friends and then he can have that loud DJ party in the evening with all his friends. After all was said and done, he told me he enjoyed the Lox and Vodka party more! Your amazing energy, creativity and beautiful music kept everyone engaged. I truly enjoyed myself and just like the first time you helped us create absolutely wonderful memories. Thank you! Hi Caron, I want to thank you so much for creating, managing, and performing an awesome simcha celebration for CJ and us! Everyone had a fabulous time, and it was a fantastic success! We are so grateful to you and the band for everything! Cheers! A very special thanks to you and the band for transforming our event at the Ratner Museum into a very special Bar Mitzvah celebration for David. Our guests of all ages took delight in the music, your energy/enthusiasm, and successful efforts at getting everyone up and dancing. The kids loved the games, and the adults enjoyed the nostalgic background music. The teaching dance numbers were a lot of fun. And our opening remarks were nicely accented with the band music. Everything went off flawlessly -- OK with the possible exception of my starting to do the blessings out of order! I am also so appreciative of your performing Lee Ann Womack's "I Hope you Dance." My dancing along with David to this number was unanticipated and a very special way to end the evening. “Caron, What a wonderful celebration we had! Leah's Bat Mitzvah was more than we could have ever hoped for, everyone felt a part of things, no matter their religion or age. So many of my guests have mentioned to me what a warm, inclusive event we had, which is no small feat with 160 people and it's all thanks to you. “The most unforgettable part of the party for me was when you had our all of our guests form a big circle (which took up the whole room) before you taught us the Israeli dance steps and you told Leah to take a moment to look around and see all her family and friends who had come to celebrate with her. A number of our guests were moved to tears at that moment. "Dear Caron: Saturday was a day that went fom joy to joy. My daughter was radiant and confident at the bima. I could not have been more pleased for her or proud for myself. The celebration that followed was a huge success. Everyone had such a wonderful time. You and your band received rave reviews. Back at my home on Saturday night and Sunday morning we were still enjoying the memories. ... Please feel free to use me as a reference. My son's Bar Mitzvah is 2 1/2 years away. If you are available, could you please send me a contract? Many thanks! PS - Glad I listened to you about dessert!" "Just beginning to recuperate from Saturday night but I wanted to let you all know that I didn't think you all were very good, I thought you all were absolutely fabulous. I thought that you just did a fantastic job and I just couldn't have been happier and really made the evening for everybody. A number of people made similar comments to me. So thank you, thank you, thank you and we'll be in touch again. Thanks." “Dear Caron and Lox & Vodka Musicians, Our family wants to express our very great appreciation for all you did to make Adam and Einat Moskof's wedding such a warm, inclusive, fun, and unique celebration for everyone attending. I hope your collective ears have been burning because everyone who spoke to us at the time or subsequently has remarked about how much they enjoyed your music and the way in which you shaped a collection of friends and family from disparate backgrounds, ages, and interests into a cohesive group of celebrants moving to the same joyous rhythms and feelings. Our Israeli family members, friends who had not danced Israeli dances for years and those who had never danced them were alike enchanted with the experience of moving together.